Mr. Media is recorded live before a studio audience of wussy musicians from Cincinnati who can’t figure out how a band from Kentucky made it to Mr. Media before they did… in the NEW new media capital of the world… St. Petersburg, Florida! I am really picky about the bands that come on this show. We’ll invite maybe one a month to be guests. Regular viewers, I love music – and it’s great to have groups come into this 21st century form of media to talk and play a few acoustic numbers. But it’s gotta be a sound I can get behind, you know? 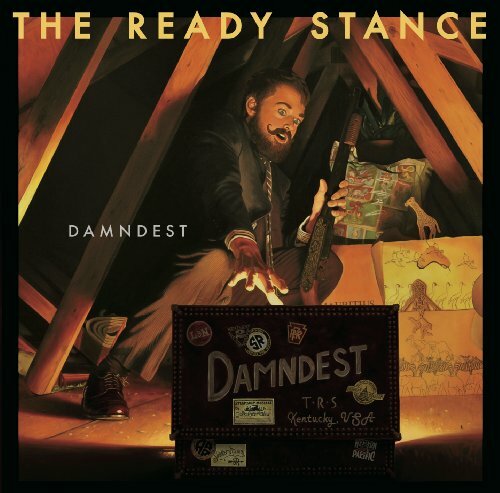 Tonight I think I’ve picked another winner in a band from Newport, Kentucky called The Ready Stance. They play a modern rock style that’s catchy without being cloying and that will remind you at points of perhaps Tom Petty or The BoDeans and at other moments you might hear a little Athens or even Seattle. The band features guitarist and founder Wes Pence; lead vocalist and guitarist Chase Johnston; drummer Eric Moreton; and bassist Randy Cheek. Enough of me talking about them… Watch the video now for the interview and three live acoustic performances of original songs by the band, two on their new album, Damndest, and a third unreleased tune. How cool is that?